Practice-based learning (PrBL) is a vital component of qualifying physiotherapy education, and a responsibility of all CSP members. It is a dynamic process of learning in practice that contributes to physiotherapy students becoming safe, competent and autonomous practitioners who are able to respond to changing population, patient, service and workforce needs and who understand the professionalism, responsibilities and accountability involved in being registered healthcare practitioners. The CSP has identified a significant shortfall in the number of physiotherapists at a time when capacity to support and develop PrBL may be compromised by changes to education and student funding (England), an increase in commissioned physiotherapy student numbers (Wales), and pressures for healthcare services to evidence their productivity, impact and value (UK-wide). These developments have highlighted the importance of adopting a renewed and refreshed focus on PrBL to ensure that the supply of physiotherapists can continue to keep pace with demand. Failure to increase capacity risks compromising the profession’s ability to address current workforce shortfalls and its responsiveness to changing patient and service needs. 1. Practice-based learning is a professional responsibility. What is your experience of practice-based learning – as a learner/practitioner? 2. Good quality practice-based learning benefits everyone involved. How has practice-based learning benefited you? your organisation/business? & the people who use your service? 3. Practice-based learning can occur in any environment or setting in which physiotherapy is delivered. What needs to be in place to make the most of practice-based learning? 4. Expanding capacity for practice-based learning is key to sustaining & building the physiotherapy workforce. 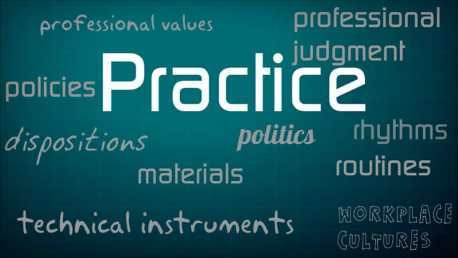 What could you do to help the profession increase its capacity for practice-based learning? 5. What are you going to do to meet your professional responsibility for practice-based learning? 6. What support will you need to help you take those next steps? Didn’t make it or struggled to keep up? Read the transcript at your leisure!